This year's Valentine's Weekend included an evening at the Atlanta Symphony Orchestra. We saw Poperazzi who performed with the Symphony a collection of Italian love songs and other songs associated with Italy in some form or another—the evening was titled, "Viva Italia!" 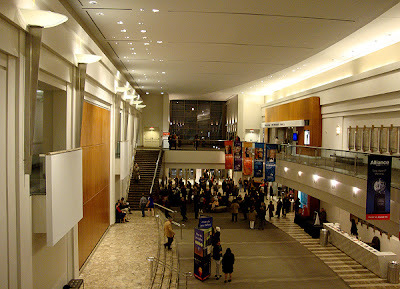 I've been to the Symphony a number of times over the years and have always enjoyed their programming...we truly have an amazing Symphony. And the lobby space is striking. 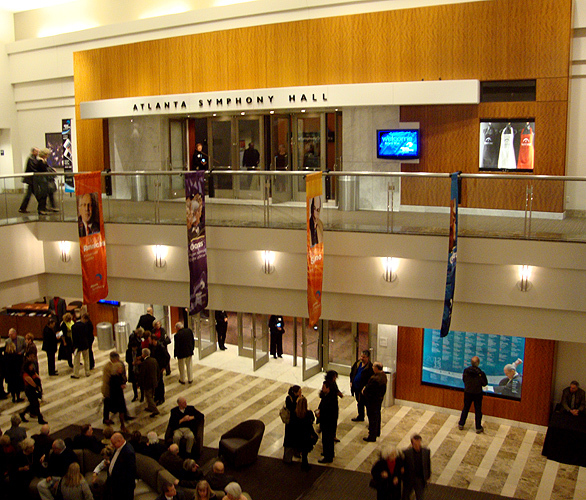 Atlanta Symphony Hall is located in the Woodruff Arts Center, which also houses the Alliance Theatre. There's also the Rich Auditorium where films are shown and other programming takes place. 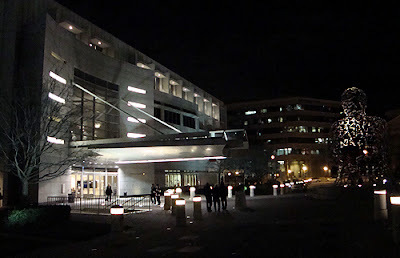 The High Museum of Art, right next door, is also part of the Center. Also on the campus is Table 1280, a restaurant that I very much enjoyed when it first opened, but it ended up closing.Turns out that they've been offing a performance-related ala Carte Lounge Menu. And according to their website, they've re-opened with full service. Viva Italia was wonderful and a perfect Valentine's thing to do. The programming at the Symphony is broad in range, so if you think the Symphony is not your cup of tea, have a look at the wide range of offerings on their website...you may be surprised.